When you’re budgeting and making a plan to travel the world, chances are you won’t be thinking about the small, day-to-day tasks that can take up valuable free time. However, just because you’re going on a trip doesn’t mean you’ll have to stop washing your clothes, conversing with locals, or using your credit cards. To make sure your next trip goes as smoothly as possible, we at glimp have rounded up some of the top 10 tips from around the world on how you can save time and money when planning to travel. We’ll also show you how to compare travel insurance packages for your next trip. One simple tip starts right at the packing stage of your holiday. Roll clothes instead of folding them to save on space in your luggage and prevent fishing through everything to find that one shirt you really like. You can also place a clothing dryer sheet in your suitcase to keep everything smelling fresh. In the unfortunate event that your travel documents are lost or stolen, make sure you have digital copies you can use or send to the authorities. Scan documents including your passport, identification card, travel itinerary, and any international licences or medical prescriptions, then email them to yourself. This means if your documents are stolen, you’ll have an immediate copy you can use during this stressful time. If you’re planning on using your credit cards overseas, make sure you inform your bank of your travel plans and country arrival dates. You can also set a spending limit on your cards if you’re worried about them being stolen and used overseas. If you have any questions, you can contact your bank on their international phoneline. Some of the best travel insurance providers also have international call centres to help you with any queries. Mark your luggage as fragile if you want to ensure it’s handled with extra care. While it may take a little longer to go through baggage handling, you’ll be guaranteed to have everything as it was when you first packed it. Want to avoid spending time waiting around in the airport instead of enjoying your holiday? Head straight for the baggage claim to collect your luggage and avoid duty free – or, if you’re travelling ultra-light, then skip the check-in luggage all together and head straight to the immigration counter and start your holiday! Your bank card can be used in any ATM around the world! Don’t worry if you can’t get currency in time at the airport - simply use your card to get cash out at your arrival destination. Be aware, however, a small fee may apply for transactions using your card in an overseas ATM. Want to save time in your hotel and make sure you get out to enjoy the place you wanted to visit? Only unpack the items you’ll absolutely need at each destination. This will make packing easier, and also let you assess the available space should you decide to buy clothes or souvenirs. It might sound a little obvious, but learning even a small amount of the local language will save you plenty of time by not having to refer to a guide book every minute or so. Showing consideration toward learning the local language can also get you cheaper deals from locals in cafes or markets. We’ve all been there: it’s the last two days of your trip and suddenly you need to buy fifteen gifts. Make a souvenir list before you leave, and stick to it. 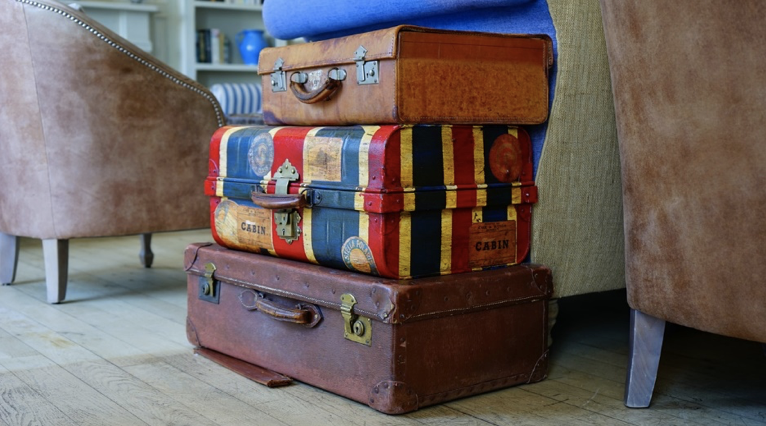 If you’re visiting lots of destinations, try and only buy the heaviest or most expensive souvenirs toward the end of your trip – that way you won’t be lugging around extra weight for most of your trip. It’s been said there’s no such thing as a free breakfast – not true! When travelling internationally, most airlines will offer complimentary food, and some hotels will include breakfast with their booking packages. If you want to save on some extra cash and also make sure you have enough energy to truly enjoy your holiday, don’t be so hasty to skip over the free food! While these tips are sure to save you some time on your trip and help curb any surprise spending, there are still plenty of things you can do to ensure your travel plans go smoothly. If you need to compare travel insurance plans, we at glimp can help you do so in no time at all. Simply visit glimp online and our intuitive aggregator system will give you the best travel insurance quote for your circumstances in minutes.